so if you could, please send good thoughts our way today. Good thoughts to little Hoggle! good thoughts for hoggle! 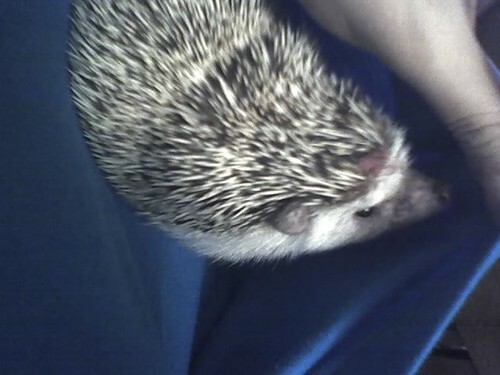 feel better soon, little spikey dude! i'm sending all the good thoughts in the world to you and hoggle!!!!! poor little baby...what a beautiful little baby...i think i want a hedgehog now!